It has been almost a year since I opened the first season of The Shawl Society. I had such a strong sense of what I wanted this project to be about, but I had no real idea what it would become. 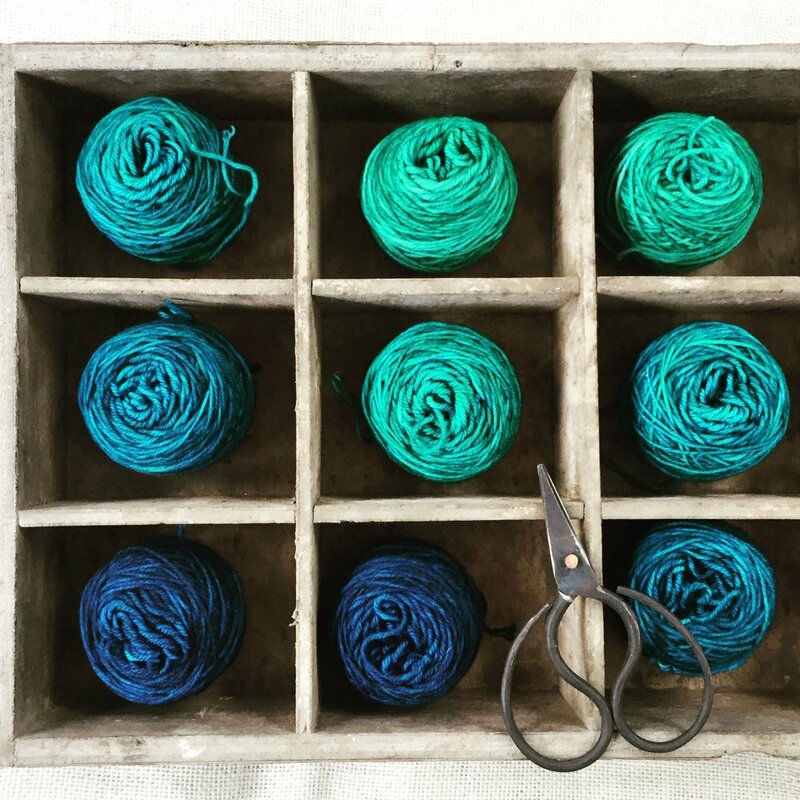 From the moment I launched Curious Handmade I’ve been fascinated by the community aspect of knitting and other handmade arts. I experimented with different types of community projects and challenges, and the results were always incredibly rewarding. I love the way we bonded over our work, taught and learned from each other, and admired each other’s achievements. That encouragement and mutual growth is one of my favourite things about the knitting community. There’s also such an irrepressible sense of fun when knitters get together, whether it happens in person or online. When I was developing The Shawl Society, I wanted to capture all of that in something that was more than just a collection of lovely shawl patterns. I took all my favourite parts of mystery knit-alongs, events, subscription clubs, and storybooks about brave bands of adventurers and mixed it up together. What happened next was magical. The anticipation and joy everyone shared over each pattern release was almost a kind of fairy dust. And six months was really long enough to build meaningful relationships. As we got deeper into the session, I was deeply inspired to see all the ways that the members were connecting with each other. More than 10000 forum posts. Mothers and daughters wrote to say they had joined together as a way to bond across the miles. Strangers recognised each other’s TSS shawls at knitting events and struck up conversations. In some places, Shawl Society members gathered to knit the shawls together in person. Some people reported that the Society gave them courage to knit a shawl for the very first time, while others discovered that the group’s enthusiasm inspired a fresh love of shawl knitting, even after dozens of completed projects under their belts. As a group, there was so much momentum! The energy was thrilling. At the end someone started a thread to display collages of all six completed shawls together. You wouldn’t think a thing like that could be so emotional, but it was. I was deeply moved to see everything The Shawl Society members had created together.